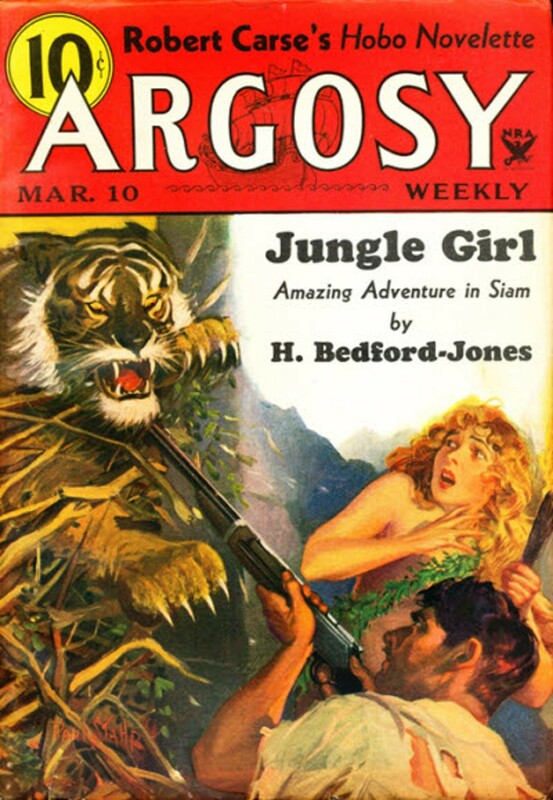 A serial by H. Bedford-Jones called "Jungle Girl"? Why hasn't this been reprinted yet? Somebody needs to get on this. Elsewhere in this issue, behind the usual excellent cover by Paul Stahr, there are stories by Donald Barr Chidsey and Robert Carse and serial installments by W.C. Tuttle ("Buckshot", a title I'm not familiar with) and "George Challis", really Frederick Faust, of course ("The Naked Blade", his pirate novel featuring Ivor Kildare). Looks like a pretty strong issue to me.